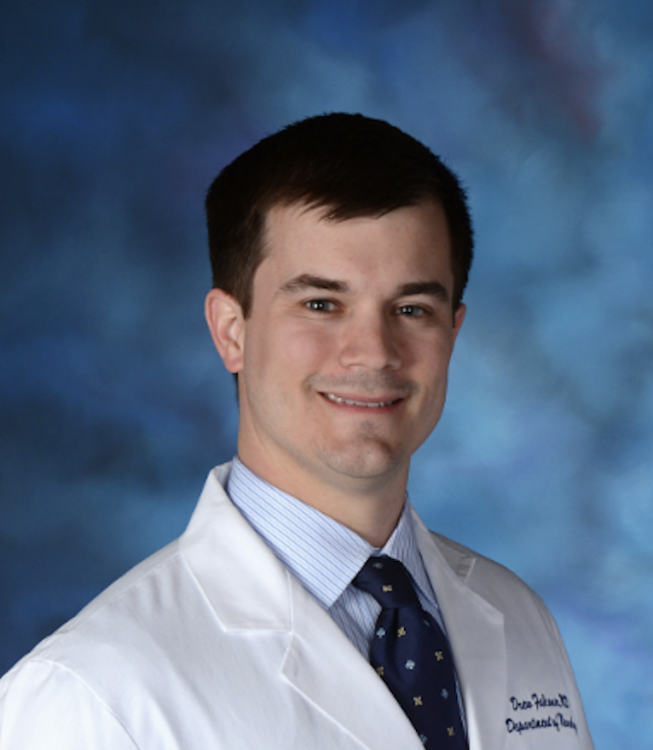 Dr. Drew Falconer is a board-certified neurologist and movement disorders specialist at the Inova Medical Group. He specializes in advanced care of patients with Parkinson’s disease, essential tremor, dystonia, Huntington’s disease, tic disorders and other movement disorders. He has been awarded many honors for his exceptional work as both a doctor and teacher, is a member of the International Parkinson and Movement Disorder Society and serves on the medical advisory board for the Parkinson Foundation of the National Capital Area (PFNCA). With that first PBA patient, Dr. Falconer said it was tough for him to take action because there was so little information available about the condition at that time. While Dr. Falconer is now familiar with PBA and has been able to help his PBA patients manage their condition, that is not the case with all doctors. For patients to receive the support they need, doctors must have a basic understanding of the condition so that they can properly recognize and manage it. “If you don’t know a condition exists, you can’t manage it,” Dr. Falconer said. “People don’t really talk about it, people don’t learn about it and people don’t bring it to the forefront to allow it to be managed,” says Dr. Falconer. “Most people suffer in silence,” Dr. Falconer says. Dr. Falconer diagnoses PBA through conversation with the patient or through screening. Screening consists of a brief test made up of seven questions that ask patients to rate their responses to statements on a scale of 1 to 5. Questions look something like: “There are times when I feel fine one minute and then I’ll become tearful the next over something small or for no reason at all.” Resulting scores of 13 or higher may suggest PBA in patients with a neurologic condition, such as Parkinson’s disease, according to Dr. Falconer. If you suspect that you or a loved one might have PBA, there is a short online quiz that you can take and share with your doctor. Miller A, Pratt H, Schiffer RB. Pseudobulbar affect: the spectrum of clinical presentations, etiologies and treatments. Expert Rev. Neurother. 11(7), 1077–1088 (2011).